In the wake of the Flint crisis, communities turn to innovative technology and financing to prevent the next crisis. April 11, 2016 — People in developed countries turn on the tap and safe drinking water flows, a dramatic health benefit they tend to take for granted. That complacency was dramatically disrupted last year when children in Flint, Michigan, started testing positive for lead poisoning and the source was traced to tap water. But Flint shouldn’t have taken anyone by surprise; in fact, water industry professionals have been sounding the alert for years. Much of the water infrastructure in the developed world was built 70 to 100 years ago and is nearing the end of its useful life. The American Water Works Association says we have entered “the replacement era,” in which we must rebuild “the water and wastewater systems bequeathed to us by earlier generations.” Most pipes, depending on their materials and the environment in which they reside, have a lifespan of 60 to 95 years. Treatment plants’ mechanical and electric components can serve 15 to 25 years. Without prompt upgrades, we are likely to see deteriorating water quality, with more incidents of lead or arsenic poisoning and bacterial and viral contamination, and increasing numbers of leaks disrupting water service and leading to costly emergency repairs. In 2013 the American Society of Civil Engineers gave the U.S. drinking water system a grade of D. Across the United States, 240,000 water mains burst a year, or about one every two minutes. Every year, more than 32 billion cubic meters (41 billion cubic yards) of treated water are lost to leaks around the world — enough water to serve almost 400 million people, according to the World Bank. And although drinking water in the United States remains quite safe overall, contamination with bacteria or viruses regularly makes people sick. In 2011–2012, the nation saw 32 drinking water–associated disease outbreaks, causing 431 cases of illness and 14 deaths, according to the Centers for Disease Control and Prevention. Upgrading the more than 1 million miles (1.6 million kilometers) of drinking water pipes in the U.S. — along with other water infrastructure — and expanding systems to meet the needs of a growing population is projected to cost more than US$1 trillion over the next 25 years, according to the AWWA. Although the financial investment required is mind-boggling, putting off upgrades can mean degraded water quality from leaky pipes or outdated treatment facilities, service interruptions and even higher costs: It’s much cheaper to prevent a leak than to fix water damage afterward in moldy buildings or buckled roads. Helping to make these strategic decisions are water meters, which are going high-tech. Cities are beginning to install smart meters at customers’ houses and businesses to measure water use. Because advanced meter infrastructure (known in the business as AMI) can transmit data about water consumed via wireless technology to central offices in real time, it can “tell you a lot more than just water usage,” says Ken Thompson, deputy director of intelligent water solutions for CH2M, a global engineering company based in Colorado that helps municipalities plan upgrades to water infrastructure, choose technologies and integrate equipment into a single management system. Thompson says that AMI meters can find leaks on the customer’s property by spotting unusual usage patterns. They can also zero in on pipeline breaks under the street, which create suction and draw water out of residents’ houses. “If you see a cluster with a backflow problem, there’s probably a pipeline break on that street,” says Thompson. Using that data, managers can calculate the location of the break and fix it promptly before it damages nearby houses and roads. Sensors are another key component of modern water infrastructure, used to detect both leaks and contamination. Water passes directly over the sensor, which is designed to measure specific chemical characteristics of the water. The sensor is contained in a cylindrical case, usually made of metal or plastic and 8 to 12 inches long, that can screw directly into a pipe. The cylinder also contains electronics for data collection and communications. 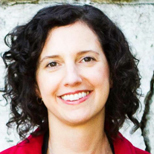 For its water management systems, CH2M typically uses three types of sensors, says Thompson. Drinking water has a standard chemical profile, so the sensors are designed to spot deviations, rather than test for individual pollutants. If the sensors flag an aberration, that alerts water managers to test the water to determine the cause of the change and whether it’s harmful to public health. At McMaster University in Hamilton, Ontario, researchers are working on a different approach to water sensor technology — one that is vastly cheaper. Gay Yuyitung, executive director of the McMaster Industry Liaison Office, says university researchers are working to produce sensors that cost around US$10. McMaster engineering professor Jamal Deen and his team, including fellow engineering faculty members Raja Ghosh and Ravi Selvaganapathy, have developed chemical sensors that can detect chlorine and pH in drinking water. On top of the basic material, they can apply different chemical interfaces so the sensors can test for a variety of pollution issues. In the future, this innovation in sensors might make these technologies an easier reach, particularly for small water utilities. In the U.S., 84.5 percent of community water systems serve fewer than 3,300 people. Because the sensors are cheap and can communicate wirelessly, they can also be used to help ensure safe drinking water in small, remote communities not yet connected to a municipal water treatment system, such as First Nations communities in Canada’s north or rural villages in India. New water infrastructure is required to meet the needs of growing populations worldwide, but even before it’s built, communities can benefit from technologies that measure the quality of their water. People living off the water grid might use the sensors to test their lake, stream or well to determine whether, say, naturally occurring arsenic spiked in their water supply or cows had a recent bathroom break upstream. 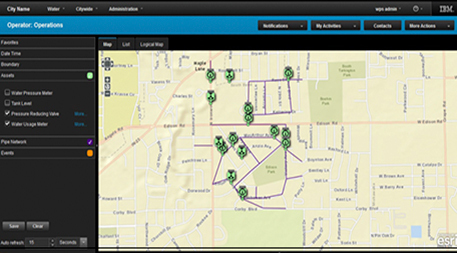 Software offers another technological tool for prioritizing upgrades to municipal water supply infrastructure. Two big players are Microsoft’s CityNext and IBM’s Smarter Cities, which analyze data from smart meters, sensors and other sources to pinpoint emerging leaks and contamination. Miami–Dade County’s parks system, which uses more than 300 million gallons (1.14 billion liters) of water annually, is using IBM’s platform to detect irregularities in water consumption and dispatch park managers to check them out. “We’re saving literally months in finding and reacting to those repairs that are needed,” says Jack Kardys, director of Miami–Dade County, Parks, Recreation, and Open Space Department. The department anticipates 7 to 12 percent savings on its annual US$4 million water bill. CH2M also provides water utilities with a systems management platform that helps operators be proactive in solving problems, rather than reactive, says Thompson. 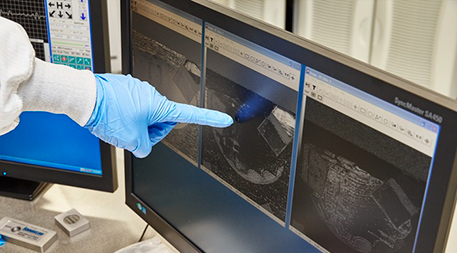 In 2013, with U.S. Environmental Protection Agency funding, CH2M installed surveillance and response systems in Philadelphia, New York, Dallas and San Francisco. Although the systems were conceived to protect drinking water from foul play, the cities are using them for quotidian water quality management, says Thompson. CH2M has completed about a dozen large water systems in the U.S. and thousands of systems of various sizes worldwide, he says. The true strength of data platforms is bringing together in one location various streams of information — water flow rates, infrastructure condition, water quality — that were previously siloed. “Treating citizens like a sensor,” as Sullivan puts it, is particularly popular in developing countries.Data platforms like IBM’s and CH2M’s can incorporate other salient information as well, such as the material and age of pipes in a certain area and their projected life expectancy in local environments. They can also flag problems in near real time when a customer calls about leaks or altered water quality in a specific area surpass a baseline threshold. Relying on customers’ eyes on the ground is not new. The 1993 Cryptosporidium parvum outbreak in Milwaukee that sickened 400,000 people was initially flagged when a local pharmacy called public health officials, saying it couldn’t keep Imodium in stock, Thompson says. Human feedback is especially important for systems that do not yet have smart meters or sensors. “Treating citizens like a sensor,” as Sullivan puts it, is particularly popular in developing countries. In South Africa, people tested an IBM-sponsored app called WaterWatchers that allowed them to report issues like leaks, contamination or stream obstructions via their mobile phones, says Sullivan. While smart technology can help water utilities make more savvy decisions about where to spend capital investment dollars, potentially saving money overall, there’s still the question of where to get the $1 trillion the AWWA predicts we’ll need to fix ailing U.S. drinking water infrastructure over the next quarter-century. 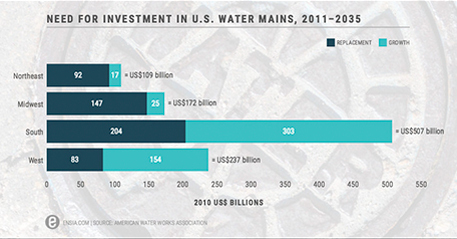 In the U.S., federal, state and local governments spent US$109 billion on water infrastructure (including water supply and sewage treatment facilities as well as drinking water treatment and delivery) in 2014, according to the Congressional Budget Office. Just one-third of that — about US$36 billion — was for capital investments such as new pipes or updated drinking water treatment facilities. Such dollars come primarily from local water fees, tax-exempt municipal bonds and the EPA’s Clean Water State Revolving Fund, which allocated $863 million in grants to states for drinking water facilities in fiscal year 2016. Congress created a new low-interest loan program in 2014 but has not yet appropriated money for it. These pools of money are not enough. To reach the more than $1 trillion in investment needed, the U.S. will need to spend an average of US$40 billion annually. Of the US$36 billion spent annually on capital investments by water utilities, less than half, $18 billion, is likely going to drinking water, with the rest going to wastewater treatment, stormwater control and new supplies. Ultimately, customers will likely have to pay more for water so utilities in turn have the funds they need to replace aging infrastructure. Private investment via public-private partnerships is a likely path for struggling municipalities, according to the multinational professional services firm EY, despite two significant hurdles. Businesses have typically shied away from water infrastructure investments because the water sector is heavily regulated and conservative about change because people’s health is at stake. And human rights activists have long been concerned that getting corporations involved in water delivery will lead to prices too high for poor people, an untenable situation when water is critical for life. Nevertheless, the trend toward private investment in water delivery took a step forward March 22, World Water Day, when the White House Water Summit announced that more than 150 companies committed $4 billion in private money to improve U.S. water infrastructure. Update 3.15.16: This story was updated to correct a math error. It previously read US$400 billion, when US$40 billion is in fact the correct number. Great article. Unfortunately, water quality problems go far beyond infrastructure issues. Even if every single pipe were replaced, that would not address the extensive pollution present in surface and ground waters, nor would that address the difficult issue of keeping those pipes clean in the long term, or the even bigger issue of disinfecting the water safely. There are currently about 90+ regulated pollutants, and another 100+ Unregulated chemicals and microbial pollutants on EPA's candidate contaminant list, which is selected from literally thousands of potential contaminants. Further, it is necessary to use disinfectants to sanitize the water, and these disinfectants react with other toxins and organic matter to form hundreds of "disinfectant-by-products" or DBPs, many of which are carcinogenic. Thus we mostly avoid waterborne infectious diseases in the short term, only to suffer from longer term chronic health issues, which are surely exacerbated (and in some cases are proven to be caused) by carcinogenic and endocrine disrupting pollutants such as DBPs in the water supply. Even filtering the water in homes and offices is typically hit or miss, because most filters remove only a small subset of contaminants, and consumers often don't know what they are getting. Some types of filter systems are quite effective (such as reverse-osmosis filter systems and distillation units combined with carbon filters) and can broadly remove or greatly reduce all types of contaminants, but they also remove healthy mineral electrolytes such as calcium and magnesium. Fortunately, it is possible to easily add such electrolyte minerals back into purified water at point of use, by using a product such as emdrops. Regulatory agencies and health officials need to face the facts about water issues, and provide education, assistance and/or incentives to consumers to appropriately purify and mineralize (as needed) water for drinking and cooking purposes at point of use, rather than proclaiming the water to be "perfectly safe" at every opportunity, and then reacting for damage control when issues are found. If we are going to understand our whole drinking water system, we need to avoid thoughts such as "But Mother Nature doesn’t collect the water, treat it and deliver it through pipes". Ecosystems (aka Mother Nature) does collect, treat and deliver to the extent that the landscape is managed. Not all, of course, but not none either. Tommy Holmes should check out Seattle Public Works, Des Moines Water Works and the 1000's of less contentious watershed that can provide much higher services for much affordable rates. Natural capital - physical capital connection is the only way for us to maintain a good water supply.